TABARÉ VÁZQUEZ, President of Uruguay, said the criteria and methodology used by the Organization for Economic Cooperation and Development to qualify countries’ development based on their per capita income imposes “severe injustice”. Pointing out that Uruguay has been considered a high-income country since 2013 and will no longer qualify for official development aid, he stressed that although growth and development are linked, they are different. 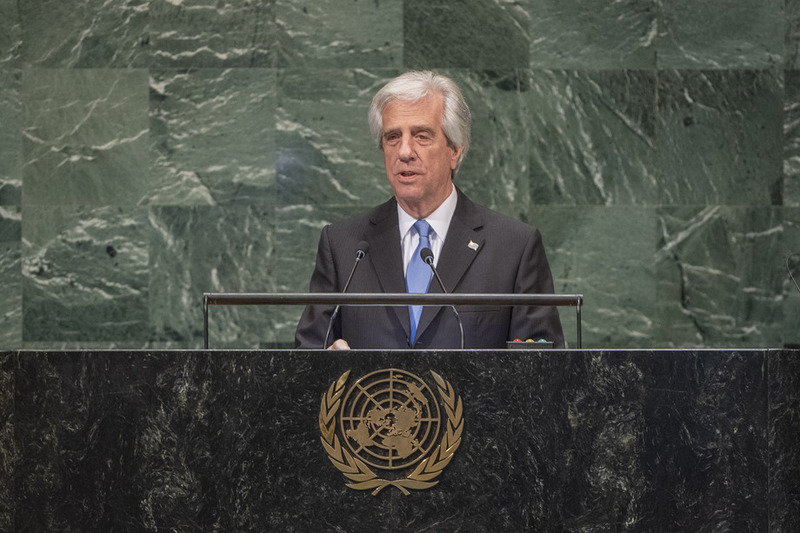 While Uruguay has enjoyed economic growth that has lifted thousands of its citizens out of poverty, structural gaps persist, he stated, adding that “development in transition” is not a random concept but rather an apt description of the situation of countries like his — on the path to development and still in need of cooperation to accompany them. “It’s paradoxical. It seems as if we are punishing those who do things well. I hope the criteria will be reviewed soon,” he said. Invoking the irrevocable responsibility to fight for the Uruguayan people, he said his country has implemented strict control policies for tobacco consumption and measures to prevent non-communicable diseases. Still there is much to be done to combat tobacco, which kills more than 7 million people every year. He called on all countries to put in place the measures set forth by the World Health Organization to combat this scourge. He reaffirmed his country’s historic commitment to an international system that is more participatory, fair, balanced and multipolar. “Today we see the world almost as if it were an asylum run by the insane,” he said. In such a turbulent international context, the international community must reaffirm its values and principles, he stated, calling upon those present today to finance and modernize the global system. In that spirit, his country would put forward its candidacy for the Human Rights Council for the years 2019 to 2021. “Uruguay’s vocation is pacifist, based on solidarity and committed to world peace and security,” he said. The environment and the consequences of climate change constitute a priority for the entire world, he stated, adding that it’s “everyone’s fight, the fight for life”. He urged the most powerful world leaders to respect the international agreement to protect the environment and called for proactive measures to protect all — especially the poorest — from the consequences of climate change. Reiterating his commitment to the Paris Agreement, he recalled that “agreements are signed to be implemented”.